A simple gift or even a little note to encourage your child’s teacher is a great way to start the school year. It lets the teacher know you appreciate the time and work they will be putting in to your child to help them grow and learn through the school year. It is always a kind gesture to give a little gift. 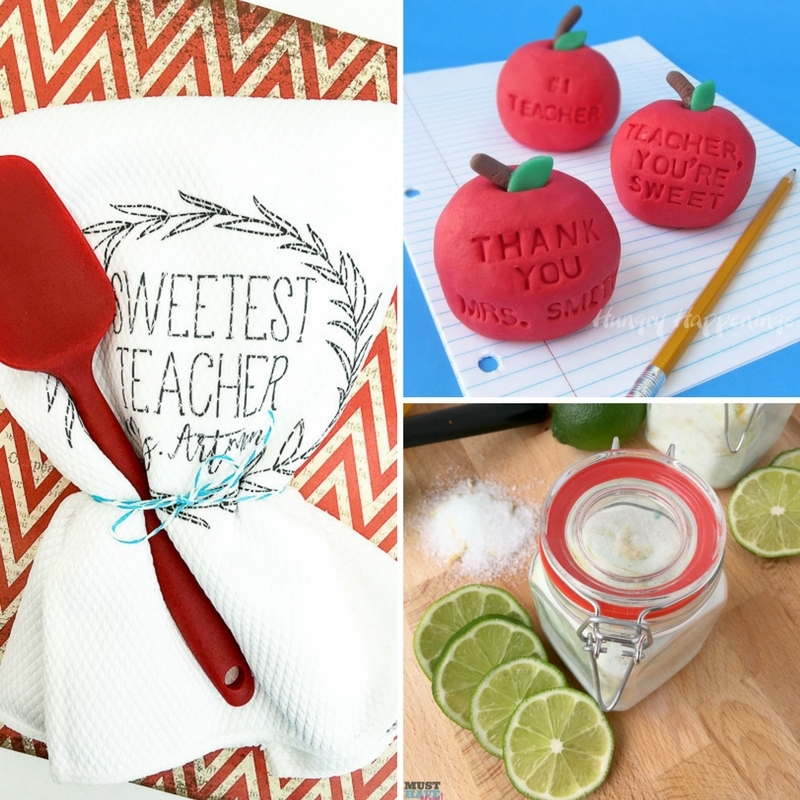 I have gathered a handful of DIY back to school teacher gifts with you all below. Look around and see if a gift or two stands out! If you have multiple kids just find a very affordable gift idea so it won’t break your piggy bank! Teachers deal with chaos each and every day, especially with younger kids. They spend 8+ hours each and every day working hard to help each child in their class grow and learn. Major high fives for each and every teacher on this planet. They need a little gift here and there to let them know they are valued! Sit down with your kids or make a gift yourself for your child to give to their teacher. This would even be fun to give during the school year, just as a little gift of encouragement and acknowledgment of all the work they put in each day. 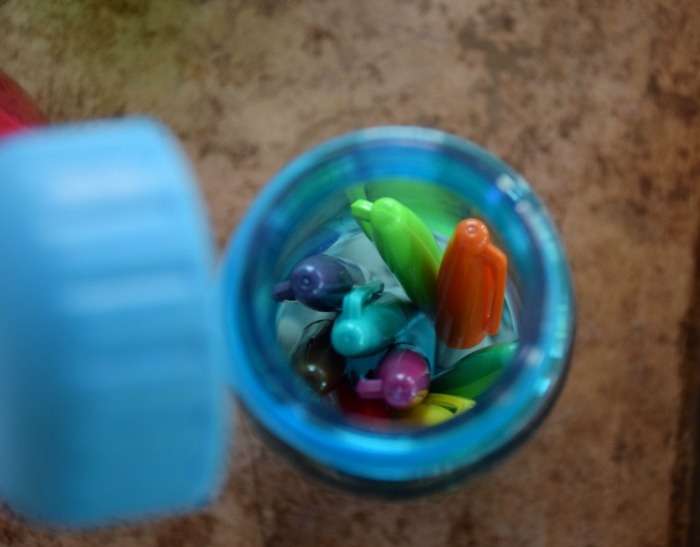 Save the can from last nights green beans and repurpose it into this crayon vase. It is so simple to make, affordable, and perfect. 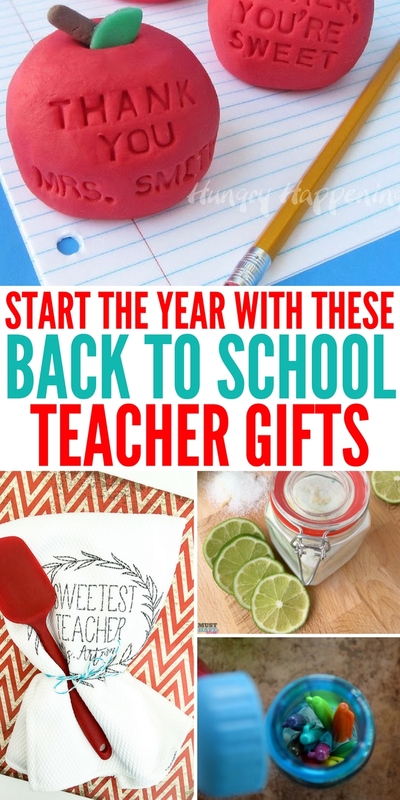 Toss in some flowers or even pencils and pens and you have a great teacher gift. A smart cookie gift is great for any of you who enjoy baking. Whip up your famous cookie recipe, grab a mason jar and print off this printable for a delicious and fun gift. 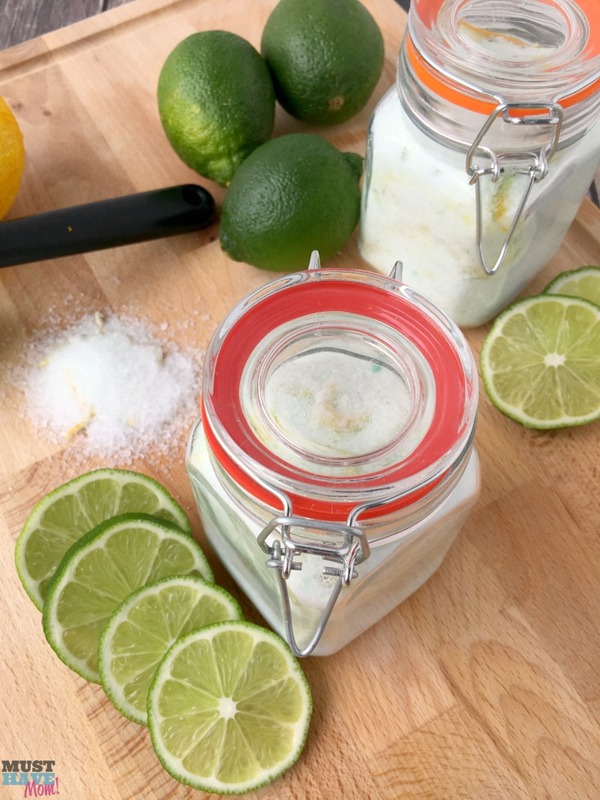 Teachers work hard, so give a citrus mint Epsom salt soak, that is great for refreshing and relaxing the mind, and soothing sore achy feet. It is a beautiful foot soak that makes a great gift. This popcorn gift is genius! Not only is it adorable and fun, it is tasty as well. I know if I was a teacher I would get a laugh out of this one for sure. Check out this watering can gift! Helping your child grow is the greatest gift of all, and this gift displays that perfectly. “Tickled Pink You’re My Teacher” gift is so adorable and fun. Use the free printable to stick on glass bottles and create your own tickled pink gift. Want to give a tasty gift? Check out these creative vanilla fudge apples. A teacher inspired treat that they can eat while grading papers once the kids leave for the day. Any teacher would just swoon over this teacher survival DIY kit. Stash full of essentials to get them through the school year in a fun and different way. Another edible gift is these teacher appreciation fudge rocks. The fudge resembles a rock and you can etch in sayings to thank the teacher. This fudge is cookies and cream flavored. 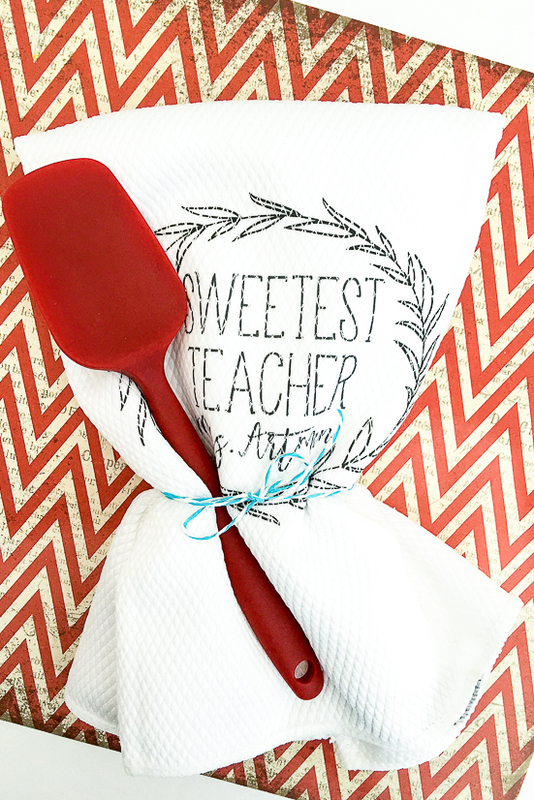 For about $3 you can make this sweetest teachers gift. I love the idea of a cookie mix and spatula as a gift, wrapped up with a perfect presentation. Love the play on words with this “Thanks a Latte” gift. Decorate a custom mug for the teacher and print off the free printable to complete the gift. You could toss in a latte mix or even a gift card as well. If you are good at sewing, check out these eye pillows. A great way for a teacher to relax once they got home after a chaotic day at work. If you have 5 minutes and 5 dollars you can make this simple gift. Grab some markers, and a water bottle and create a gift that will be useful for the teacher. A glitter apple mug is a perfect gift for a special teacher. I love glitter, so to have a mug with an apple that is completely done over in glitter, steals my heart for sure. I am noclub.chicacircle.com/dishwasher-safe-glittery-teacher-appreciation-apple-mugt a teacher and want to make one for myself. Pinecone roses would be fun to make with your child and place in a pretty jar or vase and give to your teacher. A gift that can be used to decorate their room through the school year. 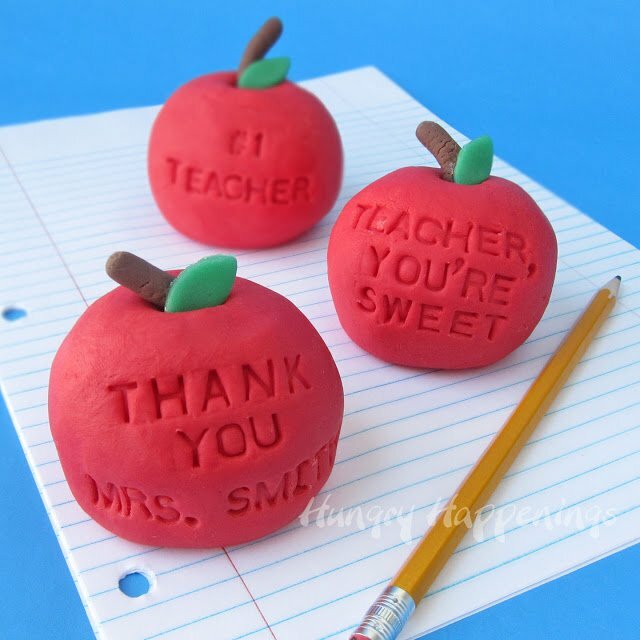 Do you generally give your child’s teacher a gift at the beginning of the school year?